Hi, we’re Jan and Patrick, creators of Around Amsterdam. On this page we will tell you more about us, and about our purposes with this website. As local residents, we often visit the big city of Amsterdam. And although we can see the charm of it, we often wonder why there are so many tourists here, while the rest of the Netherlands is overlooked by many. Sure, it is the nature of tourism that people are attracted by the main cities and sights of a country. But from our backgrounds we happen to know a lot more interesting places, which we would like to share with you. So if you’re into The Road Less Travelled (#TRLT), meet us Around Amsterdam. My name is Jan Loos and I have a passion for Dutch history. For 11 years I worked at Archeon, the Dutch Historic Theme Park. As an actor, tour guide, and show host I am used to entertaining people, while educating them about Dutch history. 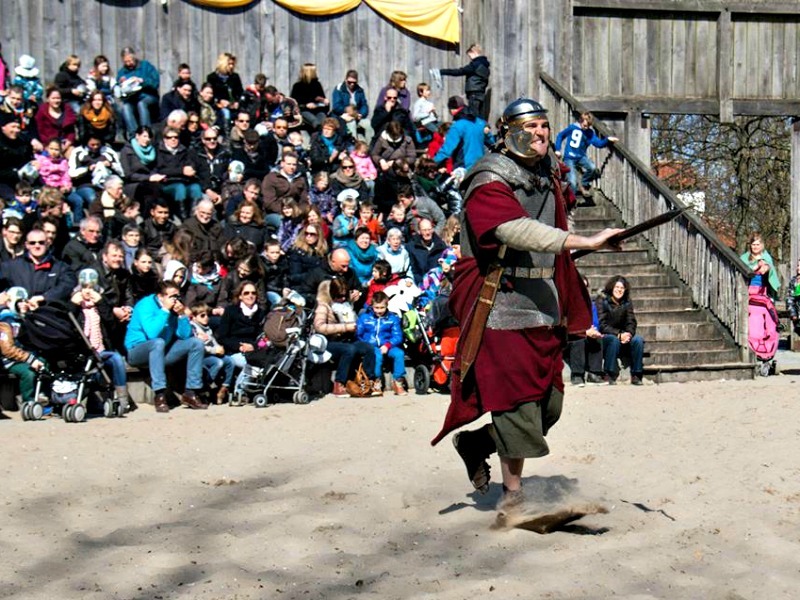 In this picture you can see me as a Roman Legionair in the theme park. Currently I’m working as a graphic designer and photographer. But with this website I am keeping my passion for history and entertainment alive. My name is Patrick van der Meer, and in the beginning of this century I travelled the world for 15 months with my girlfriend (now my wife) Sabine. And while we wanted to visits the highlights of a country, we also loved to go off the beaten track. That world trip was also the start of my life online as I started writing about it on a website. And as that website kept attracting visitors, it kept me interested in both the Internet and our travels. While learning about Internet Marketing along the way, I created more websites for myself and others, until one of them hit the jackpot. 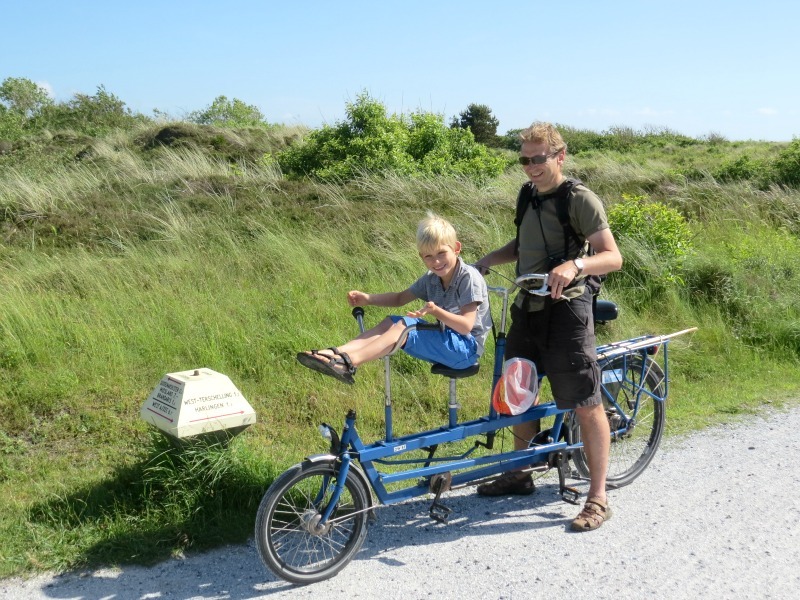 That website is Vakantie-met-kinderen.com , a Dutch website about traveling with children. While my wife is working full-time on vakantie-met-kinderen.com , I have some other projects going on. And one of those is Around Amsterdam. As proud Dutchmen, we are eager to show the many tourists in Amsterdam the rest of the Netherlands as well. And we concluded that building a website was a great way to get tourists interested. You see, most information about the Netherlands online is written by foreigners. Who tend to look at the highlights only. Many of these highlights are tourist traps. Great places, but overly crowded by tourists. Who are taking away a lot of the original charm. Our focus is therefore to show you the real charm of many places around Amsterdam. For each place, we will mention the tourist traps, plus our tips for a great experience. Do you having anything to add? Do you know of a place around Amsterdam worth mentioning? A place not known by the tourist crowds? And a place which is not described on this website yet? Let us know!! And if you want to work together with us, to bring tourists to those places, please contact us. We are open to any kind of coöperation to show tourists the rest of the Netherlands!